When you talk about barbecue in Cebu, the good old Larsian sa Fuente always finds its way to the conversation. It's not as posh as the newer barbecue joints. What's good here is that you actually get to choose among a lot of barbecue vendors. In recent years, Larsian sa Fuente has undergone a major renovation. For one, it's no longer too smoky inside. This is because the new design did not roof the entire place. The grilling area is now placed in the center of the place. This is unlike before when vendors used grills right in front of their stalls. One of the more notable improvements is the design of the entrances to a more modern design. The food items available at Larsian has also evolved through time. 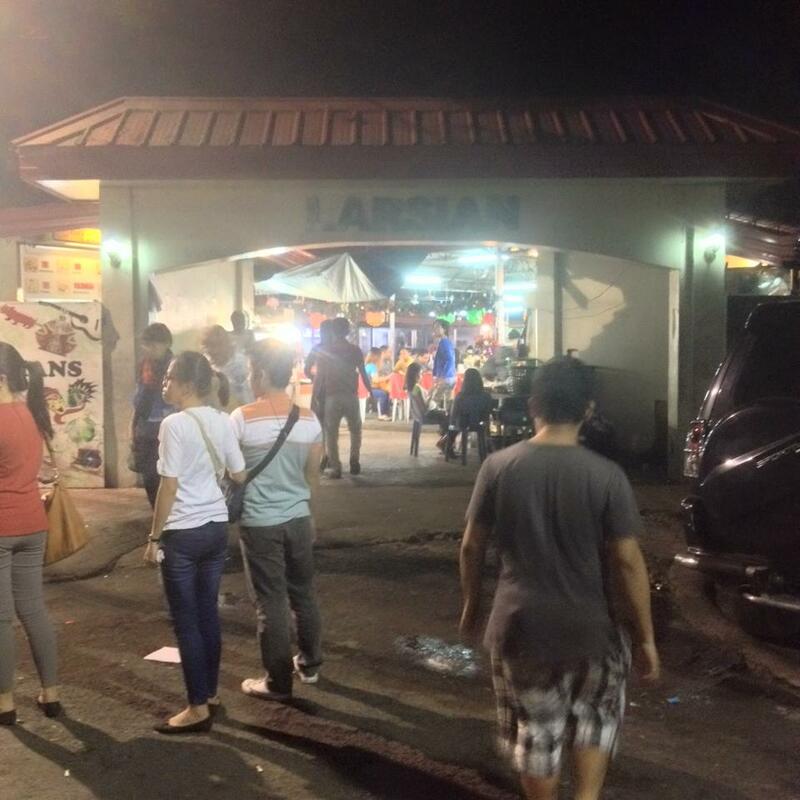 From serving just barbecue, vendors at Larsian now also serve seafood, siomai, chicharon, and even desserts. Of course, Larsian is still primarily a barbecue place. 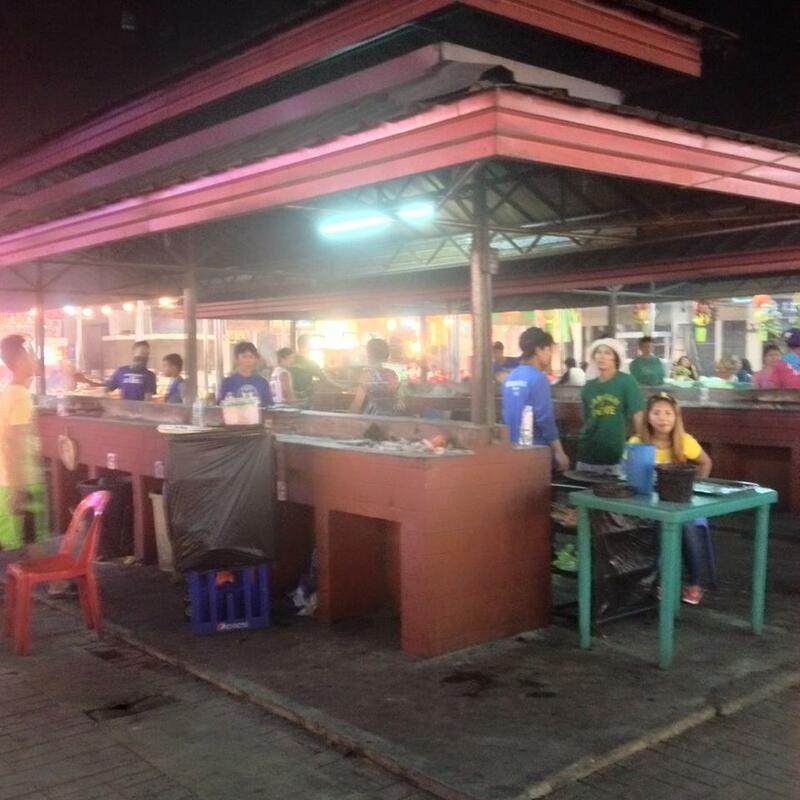 The stalls here use the turo-turo system wherein you get to pick your orders from the display, they grill it, serve it to you, then you pay after you eat. Since this is a pangmasa barbecue place, there are usually no utensils and diners are expected to eat with their hands. 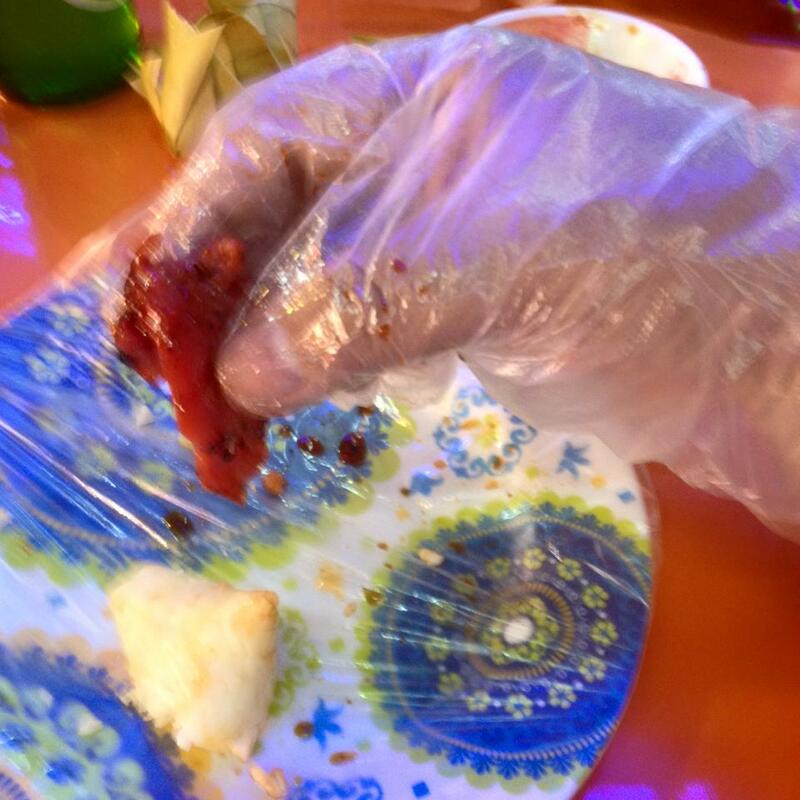 Plastic gloves are provided for sanitation purposes. It is also a wise idea to bring your own hand sanitizer when you dine at this joint. The Larsian sa Fuente is so named because it is in the area around the Fuente Osmeña Circle. 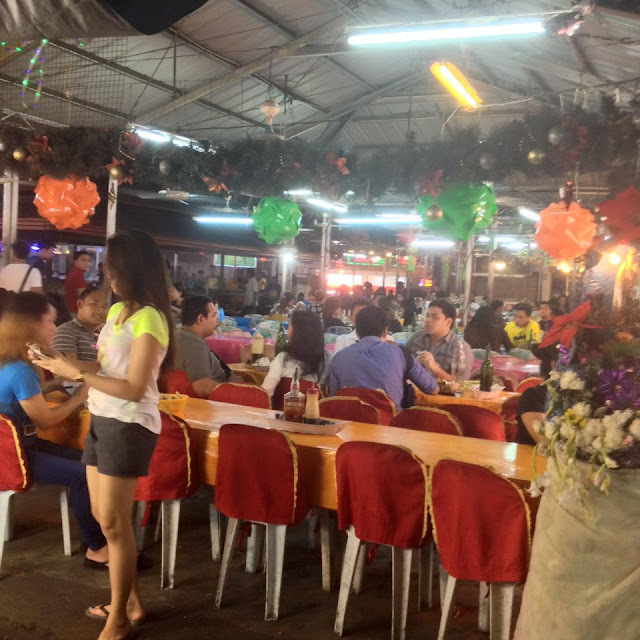 It is particularly located on Don Mariano Cui Street right beside Chong Hua Hospital and a stone's throw away from the Robinson's Cybergate Mall. For the exact location on Google Maps, CLICK HERE. 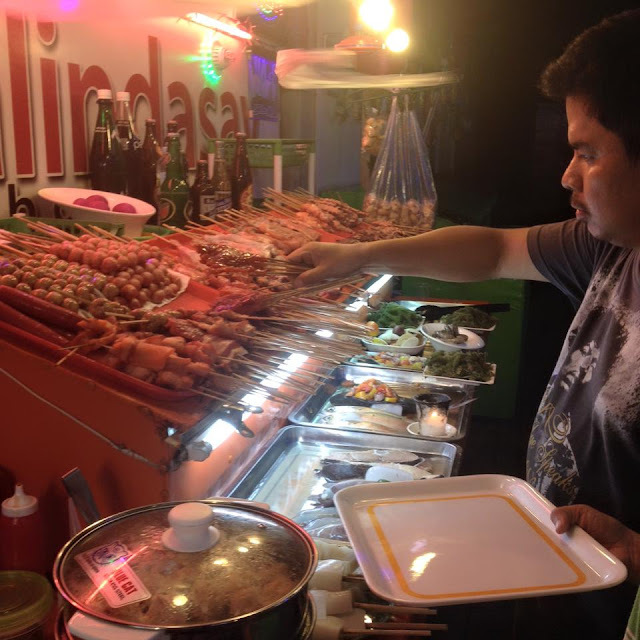 Vendors at Larsian sa Fuente can be a little pushy in persuading you. Competition is tough and they are just doing their jobs. So don't get annoyed by the behavior. Do your canvassing. Prices may differ from vendor to vendor. Take special note of the price of their puso or hanging rice as this is where they mostly differ. You can end up paying 2 pesos more or less for each piece between different vendors. If you are not sure where to go, go where the crowd is. If people flock there, something must be good. I personally recommend Noli and Khits. I just love their sauce. 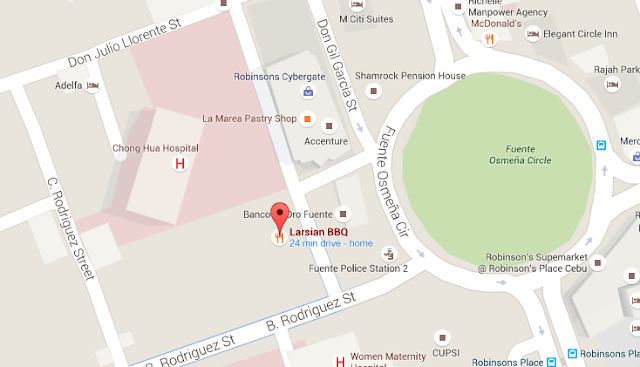 Have you tried the barbecue at Larsian sa Fuente in Cebu City? What are your thoughts about it? You may share in the comments below.